Task: To move 800,000 cruise passengers each year through the port. During cruise season, the cruise ship terminal is inundated with travellers unfamiliar with the terminal, the transportation options, hotels, and the City of Vancouver. This issue is compounded when passengers mingle with other passengers preparing to embark on the same ship(s). Disembarking passengers required information and assistance to exit the terminal, while embarking passengers wanted to know how to efficiently drop off their bags, check-in to the correct cruise line, be processed through security and customs, and finally board the correct ship. We collected data with respect to the demographics of the passengers, including where they came from, language, travelling patterns, and developed a simple wayfinding system that relied on international symbols. 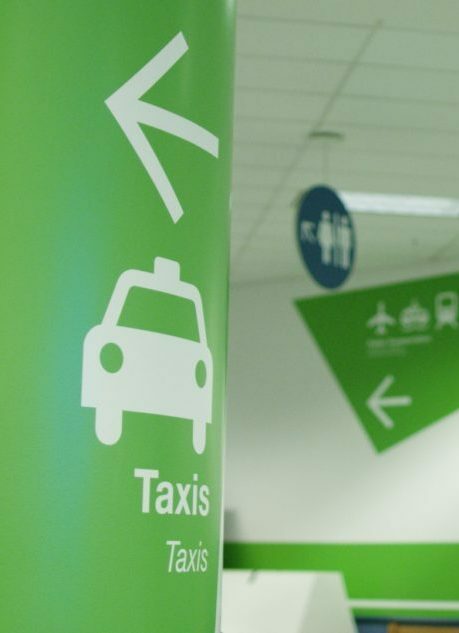 Through consultation with stakeholders and our own observation, we were able to design a wayfinding program based on colour coding, as well as directional cues to help travelling customers quickly and easily navigate the terminal both to and from the ships in port. 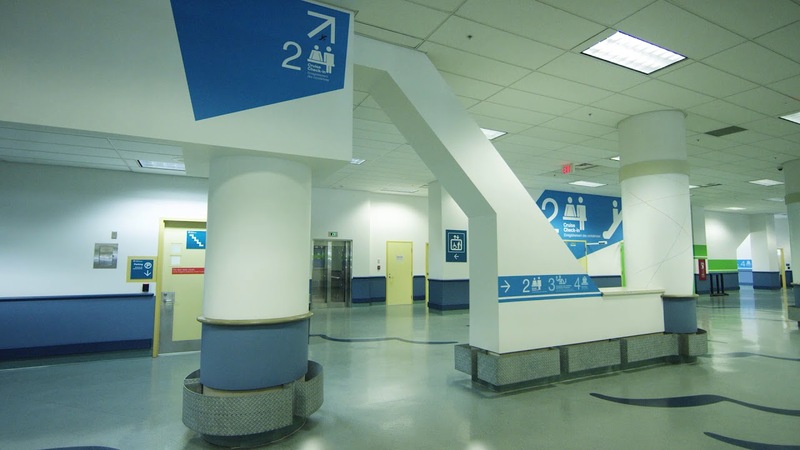 Our design team built a wayfinding system using blue wall graphics for passengers boarding the ship and green wall graphics for those leaving the ship after their cruise was completed. This graphic handrail also incorporated directions for means and methods of exiting the terminal as well as the steps to be followed to facilitate boarding the client’s chosen cruise line. This provided the port’s passengers with the information they needed at the exact time they needed to make their next decision. Click the image above to watch video.